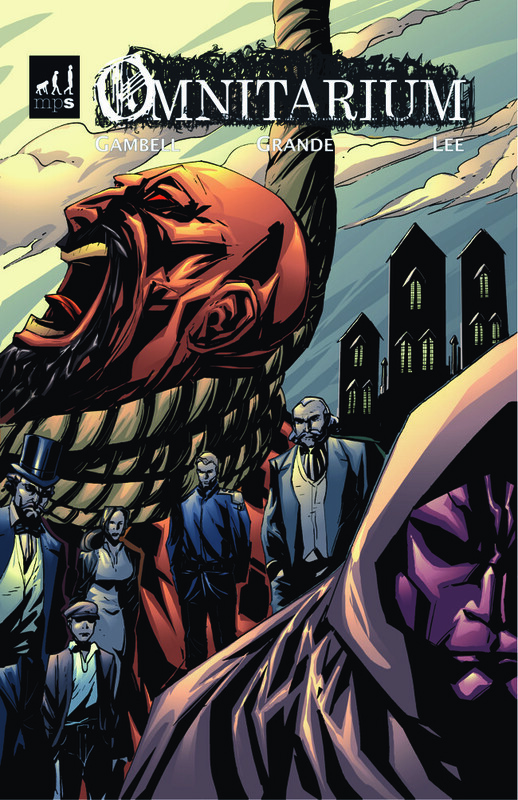 Written by Jamie Gambell and drawn by J.C. Grande, Omnitarium is a horror story set in Victorian England, revolving around a prison community that finds itself under siege by an old evil that refuses to die. Omnitarium is a four-part miniseries, but it might be better to call it a story of two halves. Reading the story, it definitely struck me that there were clearly two distinct phases of the book, one more successful than the other. Skip forward a hundred years or so to the 1800s, and what follows is some masterful scene-setting/tension-building, for in a story such as this, they are one and the same. This story owes a lot to siege-based horrors and thrillers such as Assault on Precinct 13, Romero’s Dead trilogy or even the less-celebrated schlock gem Tales from the Crypt: Demon Knight. In stories such as these, it is important to build up the location as much as the characters who will be trapped within it, telling us how safe and secure it is while at the same time showing us the inevitable weaknesses that will allow the enemy to slip through. Pentansly Gaol follows in that grand tradition. Gambell masterfully navigates these sequences, deftly introducing our ensemble and weaving in elements of gnawing dread, slowly encroaching on the narrative as the enemy begins to reveal itself. Of course, when talking about setting the scene in a comic, the contributions of the artist cannot be ignored. Admittedly, I’m not the biggest fan of the way J.C. Grande draws people. I often find his sketchy style leaves characters looking messy and indistinct, and cramped layouts in action sequences can cause some confusion: even in the opening, I read a whole page of Moonheart fighting people before I realised it wasn’t happening at the gallows and was in fact Blutstein recounting how they had captured him. But what Grande does really well in these opening two chapters is establish location. It is through his artwork that we get a sense of the prison and its various levels, with the structures looking suitably foreboding, and even doors becoming effective conduits of unease. This is also a comic where black-and-white works in its favour, with Grande’s heavy blacks enhancing the dark mood. The first half of Omnitarium is a masterclass in slow-boil tension, meticulously paced and structured, and if the whole story had maintained this precision we could have been looking at a cult classic in the making. Unfortunately, things come apart at the seams a bit with the story’s second half. After taking his time to draw us into this world and getting us to invest in the gathering storm, as issue 3 begins it seems that all of a sudden Gambell is in a hurry. After reading a couple of pages I actually had to go back to see if I’d missed anything, as it feels like chunks of the story are missing. In fact, it almost feels like a 3-act story where Act 1 immediately gives way to Act 3 and Act 2 is skipped entirely. We go from demonic forces slowly starting to appear to the ensemble being plagued by an onslaught of them, with little clear indication of what exactly they are other than Very Bad Things. Characters appear and disappear with no warning, and I quickly lost track of what was going on. The rushed ending in particular suffers from this abrupt acceleration in pace, with Moonheart seemingly dispatched with much greater ease as an all-powerful demon than he was as a human in the earlier-discussed opening sequence. Gambell tries to cram so much into his limited space that little leaves any real impact on the reader, which is a shame. The problem is compounded when Grande’s unclear art becomes a more pressing concern. With plot developments being thrown at us hard and fast, clarity is essential and, in the case of these last two issues, almost missing. Despite them being introduced so well in the earlier chapter, I quickly lost track of who was who, getting characters mixed up and having no idea who was doing what. Among other things, I missed the part where the boy was taken by Moonheart, and I’m still unsure of whether or not that happened off-panel or if I was supposed to have seen it. And the settings, so well established before, suddenly become indistinct as the aforementioned problem of cramped layouts once again comes into play. But amidst the sloppiness, Grande still manages to deliver the occasional breathtaking, haunting image. In a way, this is more infuriating, because you sense that if he were more disciplined in his sequentials, Grande could emerge as a superior artist on the indie scene. So, the second half of Omnitarium left me feeling disappointed, perhaps because of how much the first half raised my expectations. But even if he doesn’t quite follow through on the potential here, Gambell still proves himself here to be a storyteller of note. If he applies the lessons learned in Omnitarium to future projects, I wouldn’t be surprised if we see some great comics from him in the future. Not that Omnitarium is a total write-off. The first half alone is probably worth the price of admission, and fans of horror comics should definitely check it out. 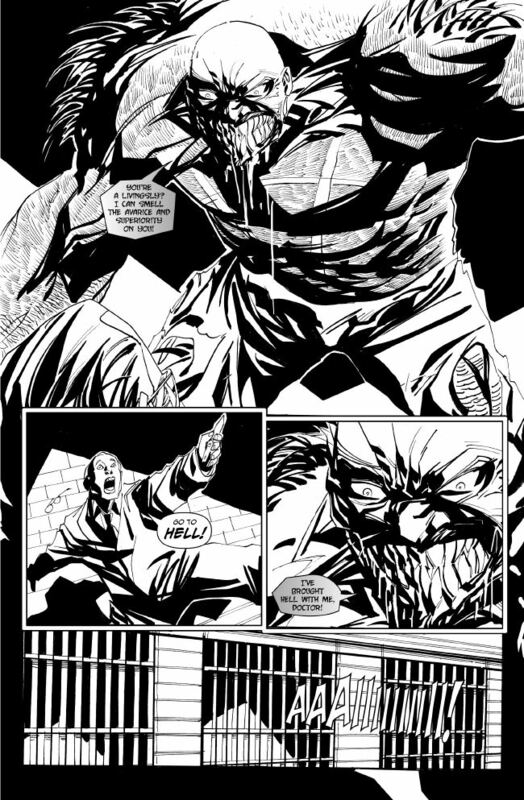 Read Omnitarium #1 for Free from Graphic.ly! Synopsis: Together in one book, all four issues of the atmospheric horror mini series by jamie gambell and j.c. grande. Arch-villain and murderer, Harrow Moonheart, finally caught and condemned to hang. But will the rope prove enough for the powerful black magician? Behind the walls of the progressive Victorian prison, Pentansly Gaol, are trapped more than just the guilty and condemned. Who is Harrow Moonheart, and what is the Omnitarium? Some doors should never be opened! Omnitarium is now available to buy from IndyPlanet. « B&N Week 24: Here, Zombie Zombie Zombie!